KATHMANDU, Dec 17: Development projects and programs are suffering a skilled-manpower crunch, according to several reports on the periodic plans of the National Planning Commission. At the same time, the country is exporting labor hugely, mostly unskilled labor. This, however, does not mean that the country is not spending on the production of skilled hands through skill development programs and trainings. The government alone spent Rs 3.54 billion for this purpose last year through 228 programs and projects across the country, according to data from the Financial Comptroller General Office (FCGO). This budget was meant to be spent partly on awareness programs and workshops. However, some government officials believe this to be a waste of money, pointing out that the skill development programs lost their rationale long ago. Fourteen different programs and projects under the Ministry of Industry spent Rs 636 million for imparting skills. The ministry is top spender in this category. The Ministry of Women, Children and Social Welfare ranked second, spending Rs 540 million through eight different programs and projects. Likewise, the Ministry of Health and Population and the Ministry of Agricultural Development spent Rs 435 and Rs 353 million respectively for the same purpose. Integrated spending records for 2015/16 and earlier are not available, according to FCGO. 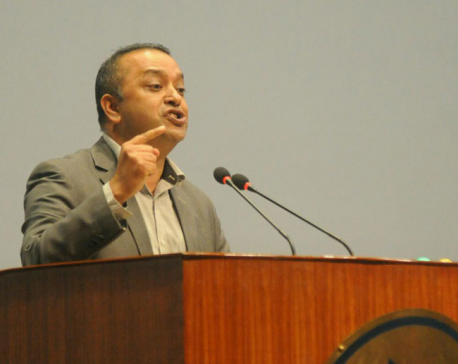 “The spending is a complete waste but it has been continuing since several years,” said labor expert Ganesh Gurung, who was a member of the NPC from 2009 to 2010. “The payment bills for the activities under such training programs showed that the budget was used to pay for travel by the chiefs and other officials,” he explained. The study, albeit a small one, did not find a single training program producing skilled manpower, according to Gurung. Following the report, the NPC had tabled a proposal at the cabinet to stop the entire program immediately and instead initiate a pilot project under which youths could choose any training they are interested in, with the government footing the bill. The training itself would be imparted by both government and private parties, using a screening process. “We had proposed to pay Rs 50,000 for one youth participating in the skill-based training, but our plan was turned down by cabinet ministers who said it cannot distribute resources proportionately to all the districts,” said Gurung. Every review report on the government's periodic plans singles out lack of skilled manpower as one of the key factors in the failure to achieve set targets. But neither has the government bothered to rationalize the spending nor has any effort been made to produce skilled manpower within the country. The government has spent Rs 3.54 billion on skill development and awareness training and workshops. Officials of the Ministry of Finance (MoF) also admit that this spending has been losing value. “We know that there is duplication in training programs by different agencies as well as in trainings conducted in a scattered way, and the effectiveness has not yet been formally measured ,” said Baikuntha Aryal, joint secretary at the Ministry of Finance. 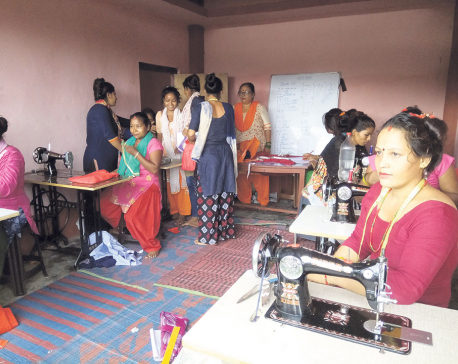 Gopi Krishna Khanal, joint secretary at the Ministry of Industry, claimed that the skill development programs they run via the Department of Cottage and Small Industries nationwide are effective and have imparted skills to youths for becoming self-employed. The department has been conducting training in making herbal soaps, sewing bags, paper handicrafts and many more.